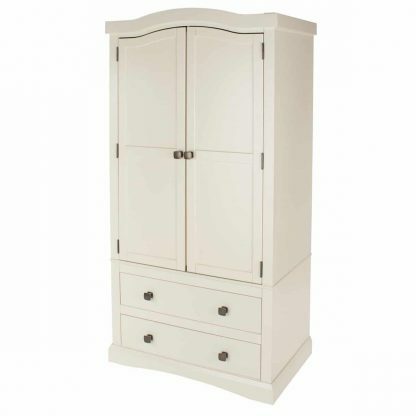 The Quebec 2 door 2 drawer wardrobe reflects traditional French furniture design and is finished in a soft, warm cream. 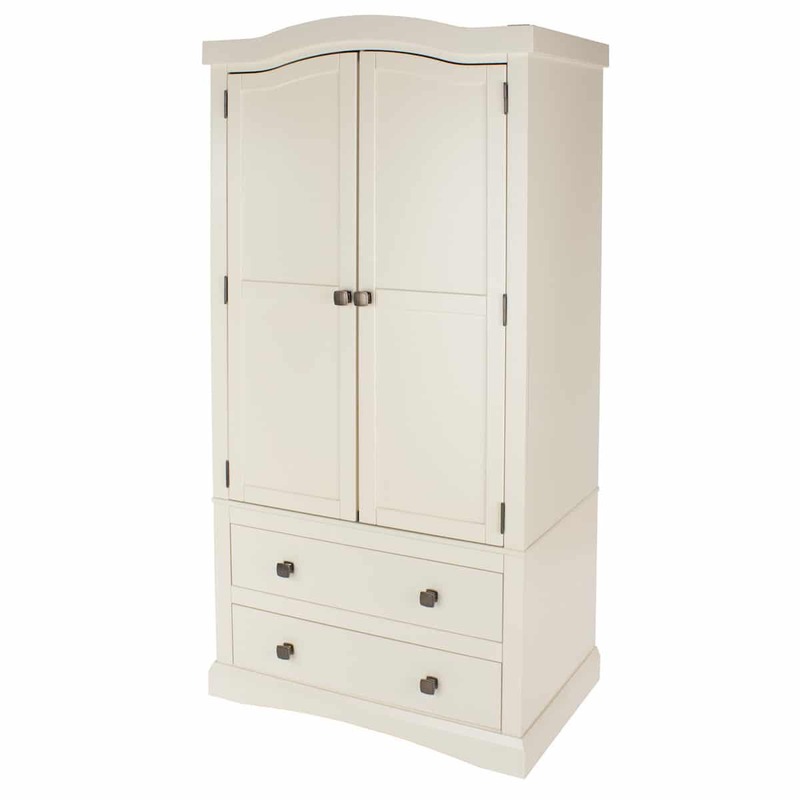 Manufactured from pine and painted mdf, the 2 door 2 drawer wardrobe is finished in cream and each door has an antiqued brass metal, square handle. The carcass back is made from strong plywood. The drawers have traditional dovetail joints and the plywood drawer bases are recessed into the drawer sides for additional strength. Delivery: FREE delivery on UK mainland. This 2 door 2 drawer wardrobe is delivered for simple home assembly, following the easy to follow assembly instructions. Please allow 2 – 3 working days for delivery of your new Quebec 2 door 2 drawer wardrobe.